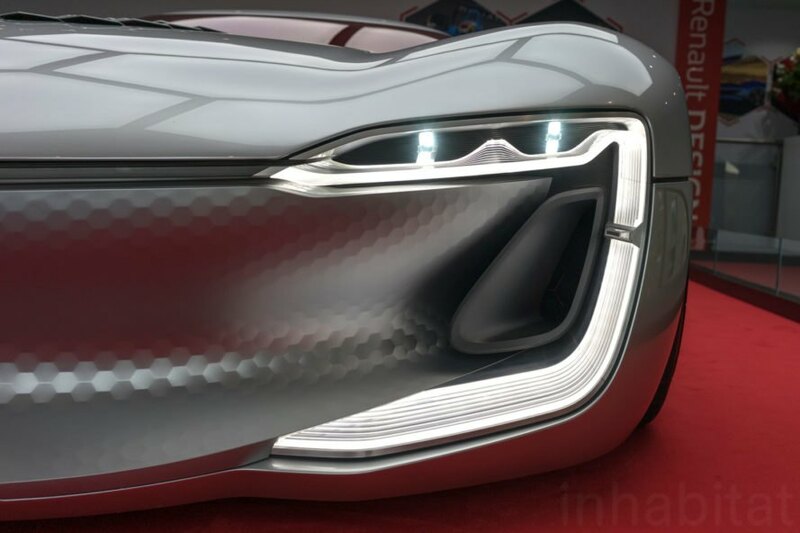 What will the electric car of the future look like? 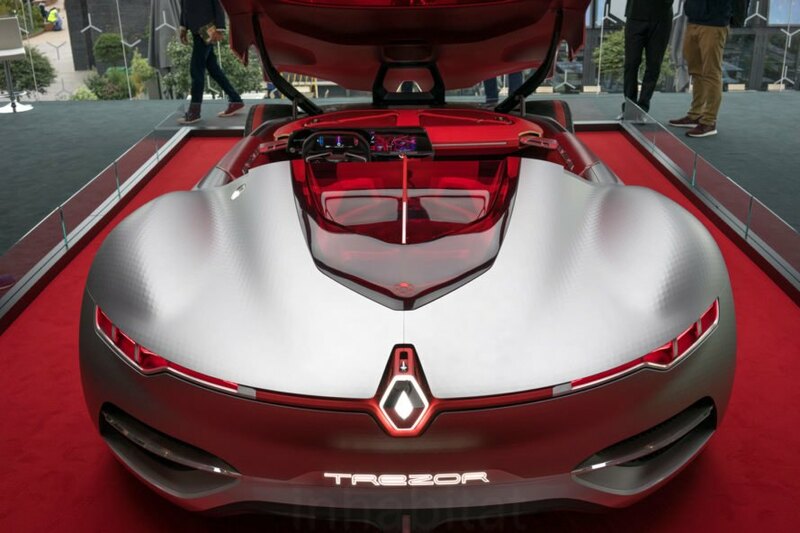 Renault has given us a sneak peek with the Trezor – a futuristic self-driving car powered by a 350 horsepower electric powertrain that can go from 0-60 mph in less than four seconds. To enter the vehicle, the entire hood, windshield and side windows lift up – but you still have to jump over the side of the vehicle to get in, since it does without conventional doors. The vehicle also uses a rechargeable energy storage system to recover energy during braking and there are two batteries – one at the front and one at the back. 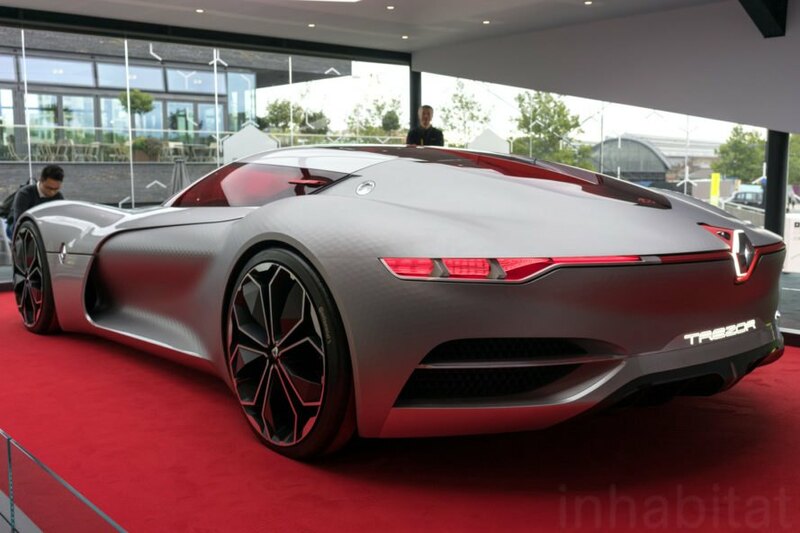 The Trezor is a concept car, but it does explore the potential styling and technology that could debut on future electric cars. Its sleek, long profile is an artist’s dream. The interior feature a red wooden dashboard that incorporates the luggage compartment. 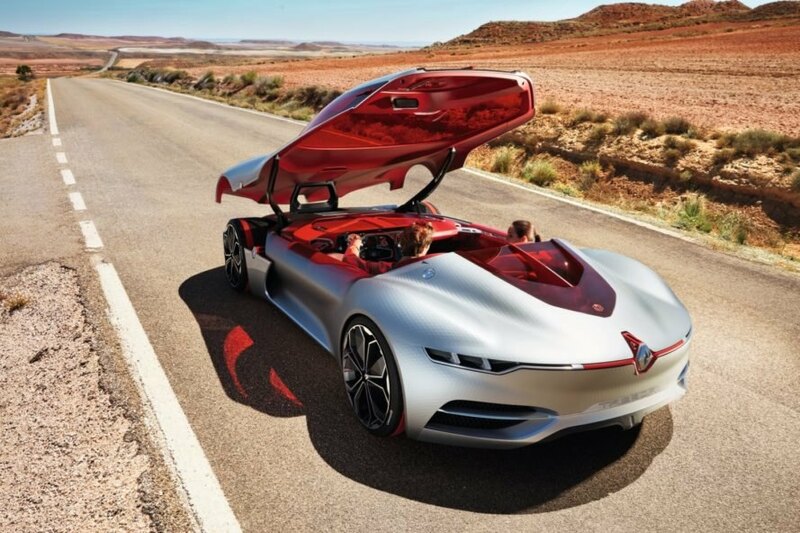 The tailor-made trunks are held in place with leather straps in front of the driver and passenger. Although the wooden dashboard and red leather seats appear to be inspired by sports cars from the past, the Trezor features the latest technology with a L-shaped touchscreen that’s connected to a large dashboard screen in front of the driver. The curved OLED touchscreen is protected by a layer of Gorilla glass. The rectangular steering wheel features touchscreens that replace the traditional buttons on today’s steering wheels. The touchscreens provide access to the car’s three drive modes: neutral, sport and self-drive. In the self-driving mode, the exterior lighting changes to let other drivers know that the car is in autonomous mode. The steering wheel also comes apart and stretches out lengthwise to give a better view of the dashboard, so that the driver can watch a film or just look at the scenery. 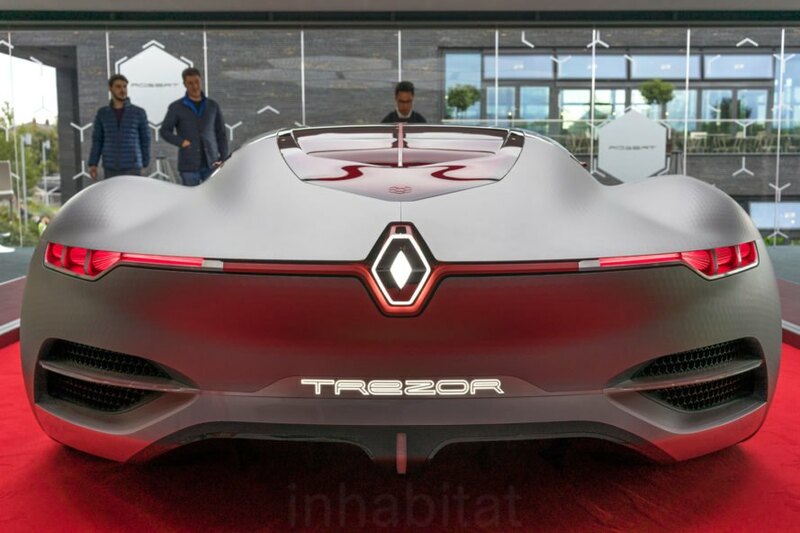 Renault’s Trezor was recently showcased at Designjunction during the London Design Festival. 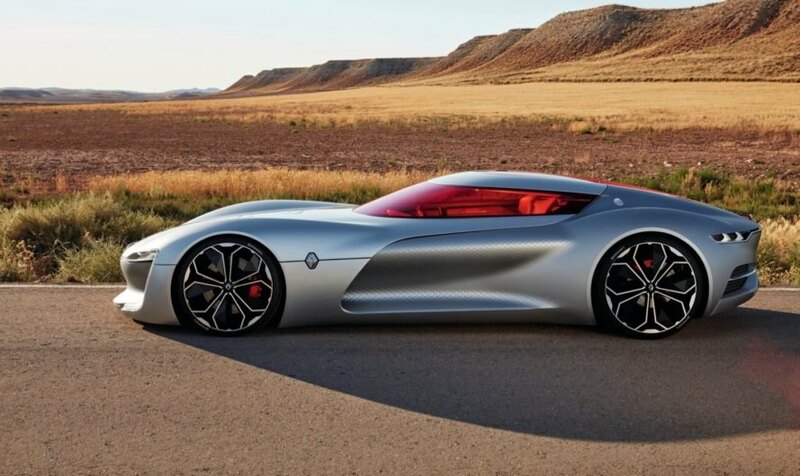 Renault and Nissan have announced plans to introduce several new fully-electric cars in the near future, so keep your fingers crossed that at least some of the technology in the Trezor concept will be offered in a production car. 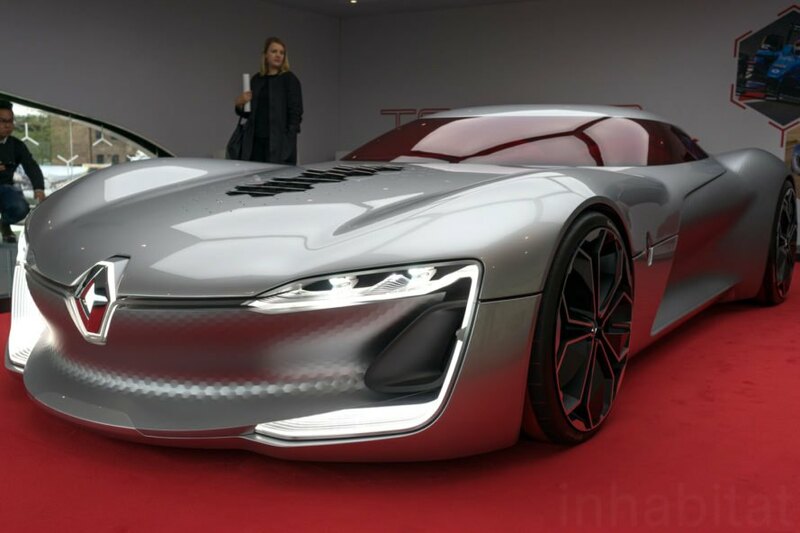 What will the electric car of the future look like? 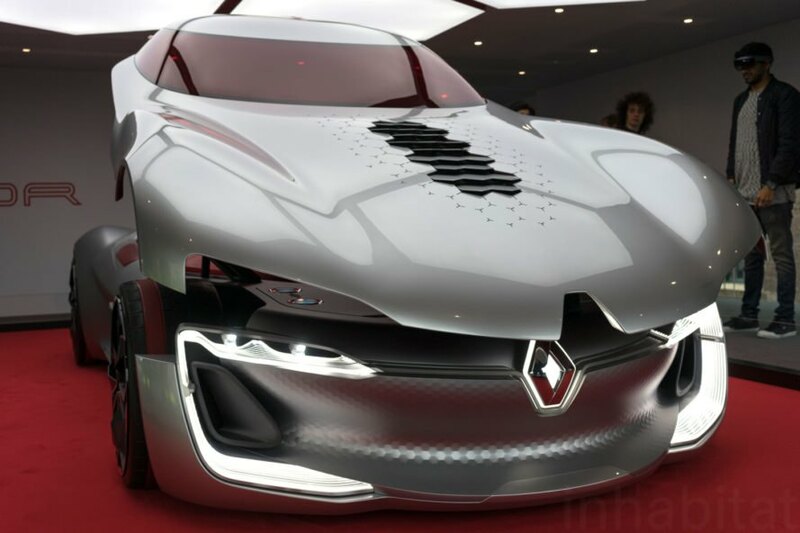 Renault has given us a sneak peek with the Trezor - a futuristic self-driving car powered by a 350 horsepower electric powertrain that can go from 0-60 mph in less than four seconds. To enter the vehicle, the entire hood, windshield and side windows lift up - but you still have to jump over the side of the vehicle to get in, since it does without conventional doors. The vehicle also uses a rechargeable energy storage system to recover energy during braking and there are two batteries - one at the front and one at the back. 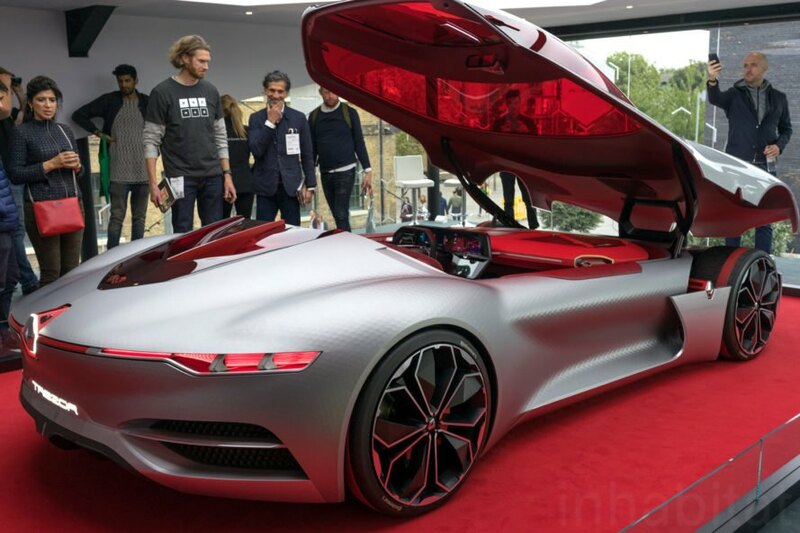 The Trezor is a concept car, but it does explore the potential styling and technology that could debut on future electric cars. Its sleek, long profile is an artist's dream. The interior feature a red wooden dashboard that incorporates the luggage compartment. The touchscreens provide access to the car's three drive modes: neutral, sport and self-drive. In the self-driving mode, the exterior lighting changes to let other drivers know that the car is in autonomous mode. The steering wheel also comes apart and stretches out lengthwise to give a better view of the dashboard, so that the driver can watch a film or just look at the scenery. 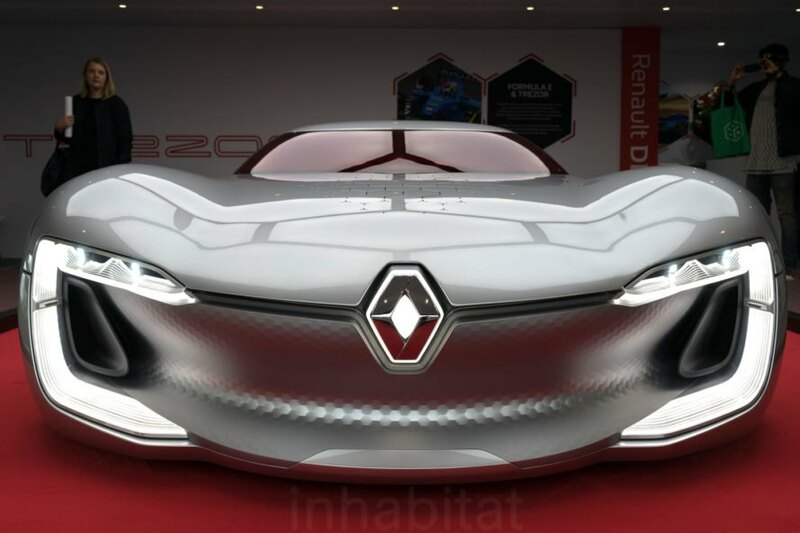 Renault and Nissan have announced plans to introduce several new fully-electric cars in the near future, so keep your fingers crossed that at least some of the technology in the Trezor concept will be offered in a production car. Although the wooden dashboard and red leather seats appear to be inspired by sports cars from the past, the Trezor features the latest technology with a L-shaped touchscreen that's connected to a large dashboard screen in front of the driver.